I so agree with the letter in last week’s Chron & Echo concerning demolition of our bus station. Please, please build it back up and join on to the Grosvenor. It used to be so good coming to town, look round the market and Grosvenor before we got our shopping trolley full of food at Sainsbury’s then down the slope into the bus station in the dry to our bus with no fear of falling on awful paths in front of old cinema or getting wet. Some say it is great having Aldi – it’s not if you are elderly or with no car. Either way, to get it to you have to go up hill. Then, where do you get the bus from? 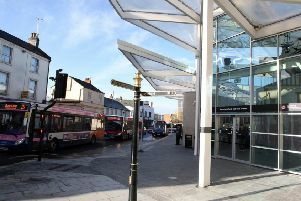 I’m sure our town centre would be good if we rebuilt the bus station, used the new one for coaches and didn’t charge so much rent for shops or market people.